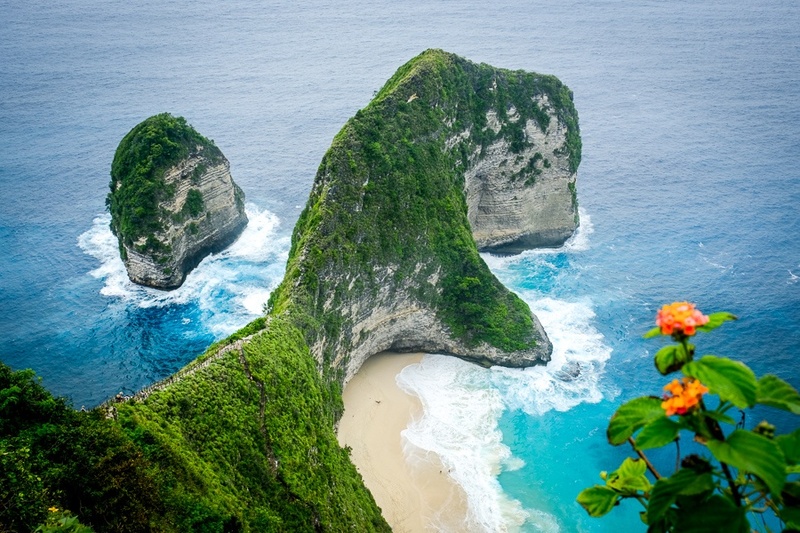 The Kelingking cliff (also known as Karang Dawa) is the most famous view in Nusa Penida, and probably one of the most famous views in all of Bali. The main view is an incredible ‘T-Rex jaw’ shaped rock sticking out over the ocean, with perfect turquoise water splashing around it. The first time you look over the edge of the cliff and see this view, it really is breathtaking! I’d recommend going early because this spot can be very crowded, especially during high season, and the hike down to the beach will also be a lot easier in the morning before it heats up. When I went back here last July in the late afternoon, the hiking path down to the beach was very crowded and the heat made it a huge pain to hike back up. Side note: since Kelingking is on the west side of Penida, that also makes it a great spot to watch the sunset. After you’re done staring in awe at the Kelingking T-Rex, there’s also a path to go down to the beach at the bottom. This hike is a major workout, a bit scary, and takes at least 2 hours roundtrip. This hike is very steep and it IS a safety risk if you aren’t careful. When I went, there were several people (including myself) who were dehydrated and struggling to hike all the way back up. Bring a lot of water if you do this hike, and wear shoes. Sandals will not give you enough grip, and the rocks are too hot to go barefoot. There are occasionally some drinks for sale at the bottom, but they are more expensive and there’s no guarantee that they will be in stock. You can buy drinks at one of the food shacks near the top of the cliff before doing the hike. As you can see in the picture below, the beach at the bottom is pristine and the waves are big; there’s even a little cave down there! This is another view point near Kelingking cliff. As you enter the parking area, take a left and you will eventually arrive at this extra view point. Paluang may not be as well known as the famous Kelingking view, but that’s part of the appeal. It’s a great hidden spot that gives you a better view of the tiny island near the main cliff. 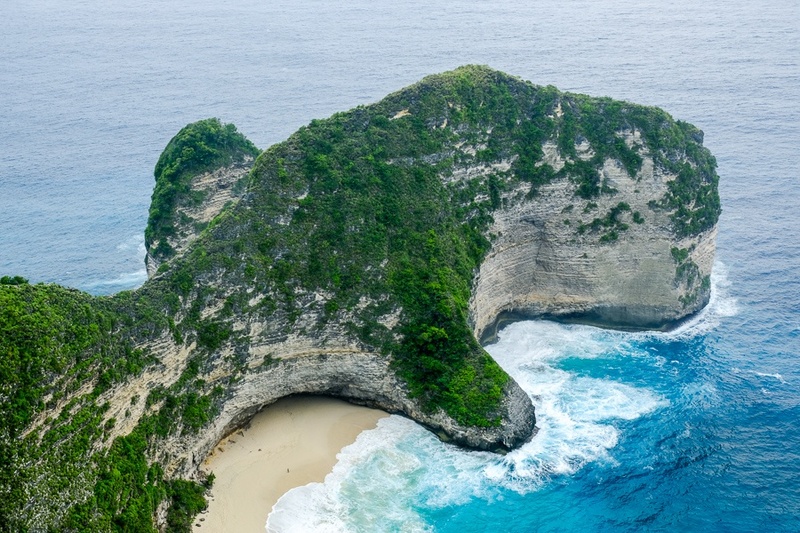 Kelingking cliff point is on the west side of Nusa Penida island. It’s accessible by car or scooter, and takes about a 1 hour drive to reach from the main docks and accommodation in northern Penida. Be careful if you go by scooter because the road can be pretty rough and may be dangerous in some spots if you don’t take it slow! There are some nice food and drink shacks in the parking area if you want to stock up before or after your hike down to the beach! The parking fee at Kelingking is 5,000 IDR (35 cents) as of 2019.